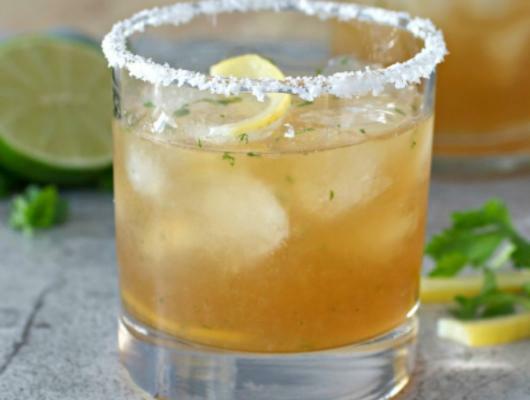 Place the preserved lemon strips and cilantro in cocktail shaker and muddle together for a minute or two. Add all of the remaining ingredients to the lemon and cilantro mixture in the cocktail shaker. Shake well. Place some coarse salt on shallow bowl, lightly wet rim of glass, and dip into salt so it coats the rim on all sides. Add the desired amount of ice to the glass and carefully pour in the prepared margarita mixture. 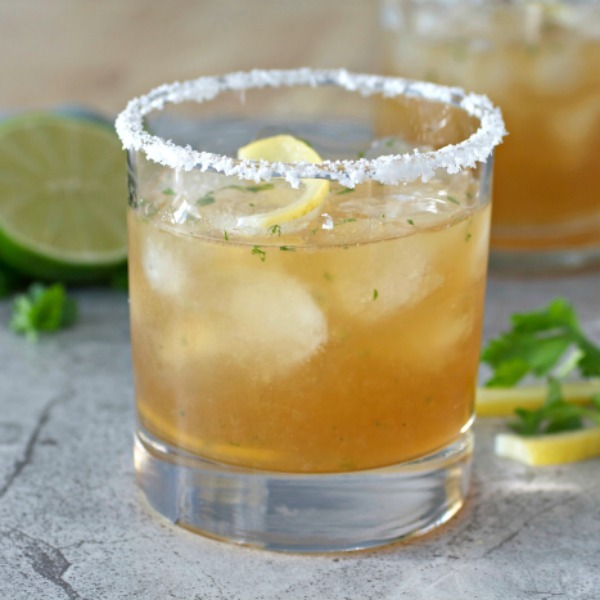 The BEST lemon-limey, tangy, tart, slightly spicy cocktail to serve to your special Valentine or make for a Taco Tuesday!